Sovereignty is an interesting concept, but gets even more so when we start to consider the details of our exit strategy – specifically on what we are prepared to tolerate and where the red lines must be drawn. A working example of that dilemma is illustrated by events over fifty years ago in the aftermath of the Aberdeen Typhoid Outbreak which was attributed Argentinean corned beef, contaminated by the use of unchlorinated process water drawn directly from the River Plate. 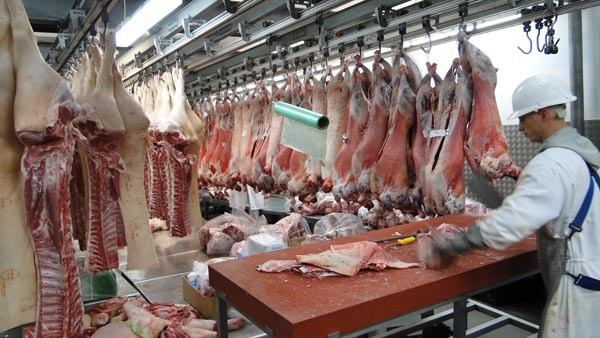 What emerged from that – to those familiar with the circumstances of the outbreak – was the awareness of a system whereby UK inspectors were stationed permanently in foreign meat processing plants, enforcing UK requirements so that the plants could export to us. The plants themselves had to be licensed by the UK authorities, and were awarded "establishment numbers" which had to be identified on all the produce they sold. As it turned out, in the run-up to the Aberdeen outbreak, the system had failed. In the Rosario canning factory, where the suspect corned beef had been produced, the chlorination plant had been out of action for 15 months and no action had been taken – despite warnings from one of our own seconded inspectors. In December 1964, therefore – seven months after the outbreak had started - the then Secretary of State for Scotland, Mr William Ross was reassuring the House of Commons that overseas suppliers had been provided with a detailed [re-]statement of our hygiene requirements for the production of meat and meat products and "the staff engaged on overseas inspection of meat production establishments has been augmented". By coincidence, June 1964 – just as the Aberdeen outbreak was at its height - the European Community passed Directive 64/433/EEC on "health problems affecting intra-Community trade in fresh meat", setting out standards and operating procedures for slaughterhouses and meat cutting premises exporting to the Community. Although this applied to intra-community trade, it was also adopted as the basis for approving foreign establishments which wanted to export to EU Member States. Thus, long before the UK joined the (then) EEC, many of our slaughterhouses and cutting plants were having to conform to the Directive – not just when they produced meat for export but all the time. The design and construction, after all, could not be switched on and off depending on the destination of the meat. To ensure conformity, the EEC borrowed from the UK system which had so spectacularly failed in Argentina, appointing a corps of officials who would inspect foreign premises and decide whether they reached the necessary standard for the award of the coveted EEC "establishment number", without which export to the EEC was not permitted. The outcome was a two-tier system in the meat industry, where we had "export approved" abattoirs and cutting plants, and those licensed only for domestic sales. These came under a different regime, which was to exist until the EC brought the meat industry under the aegis of the Single Market with passing of Directive 91/497/EC, which basically extended 64/433 into the domestic trade. In the meantime, the likes of the Guardian and other newspapers had been running a spirited campaign to project the EEC regulations as being superior, and UK licensed slaughterhouses as unhygienic, leading many operators to adopt voluntarily the export standard, purely for marketing purposes. Nevertheless, the introduction of 91/497 caused chaos in the industry, and led to a wave of closures and a concentration of the meat business in fewer, larger units. It more or less spelt the end of independent butcher and "artisan" meat production. What is left of the industry is now fully compliant with EU law and – except where their premises are subject to derogations permitting domestic trade only – all operators are entitled to export their produce freely within the Union without border checks or any other restrictions, taking full advantage of the Single Market. However, Directive 91/497/EEC, with 16 other directives relating to food safety have been repealed with the food industry as a whole governed by a suite of three Regulations, respectively Regulation 852/2004 on the hygiene of foodstuffs, Regulation 853/2004 laying down specific hygiene rules for food of animal origin, and Regulation 854/2004 laying down specific rules for the organisation of official controls on products of animal origin intended for human consumption. These regulations have not been transposed into UK law but are given legal effect not only by the ECA but also by The Food Hygiene (England) Regulations 2005 (with corresponding instruments for the devolved administrations), where they are defined as "Community Regulations". In terms of specifics, with particular reference to Brexit, a helpful framework is set out by the Food Standards Agency establishments handling, preparing or producing products of animal origin (thus coming under Regulation (EC) No 853/2004) must be approved by the competent authority in accordance with Article 3 of Regulation (EC) No 854/2004 and Article 4 of Regulation 853/2004. It is here that trouble starts to loom as the "competent authority" is defined as "the central authority of a Member State competent to carry out veterinary checks or any authority to which it has delegated that competence". On Brexit, of course, the UK is no longer a Member State. For the purposes of the regulation, therefore, it is unable to designate a "competent authority" and is therefore unable to approve establishments under Single Market rules. Under the Great Repeal Bill, the UK may re-enact the law but it has no jurisdiction over the EU. In EU law the "competent authority" remains a body designated by a Member State and therefore, even if the UK Government chose to approve all its establishments, they would not be recognised as EU establishments. And, without approval – and the vital establishment number – the UK can't operate under Single Market rules. The way this works is relatively simple. Each Member State is required to draw up a list of its own approved establishments, with the national lists assembled into a master list. For public access, there is the web page of "approved EU food establishments" – which links you back to the national databases. Obviously, at the stroke of midnight (or some time thereafter) on the day that Brexit comes into force, we disappear from that list. We are no longer Member States and, unless we are Efta-EEA states or have special agreements (such as the Faroe Islands or Switzerland), we become Non-EU country establishments. Needless to say, getting establishments posted on this database is not automatic. Firstly, the UK – in its newly acquired status as a third country - must be approved to export a specific category of food of animal origin and must be on the list of approved third countries for that specific category of food. Before it can be approved, an evaluation of the country and its competent authority has to be carried out by the Health and Food Audits and Analysis Office, located in Grange, Ireland (European Commission, Directorate General for Health and Food Safety). And only once approved are the "competent authorities" recognised. The requirements for each category of food products are specified in Annex III to Regulation (EC) No 853/2004. These requirements must be checked and guaranteed by the competent authorities of the Non-EU country before an establishment can be listed as an EU approved establishment. The competent authorities also must inform the Commission if an establishment is no longer fulfilling the above mentioned requirements. The Non-EU country must have a residue monitoring plan (in accordance with Council Directive 96/23/EC) for the category of food of animal origin and must appear in the list of countries with an approved residue monitoring plan (Commission Decision 2011/163/EU as amended). Then, for food products concerned, the Non-EU country must have a salmonella control program in animal population in accordance with Regulation (EC) No 2160/2003. What this amounts to, of course, is that all food establishments must fully comply with all relevant EU law, unless we can give assurances that our measures are equivalent to Community requirements. On day one of Brexit, assurances of "equivalence" will not be hard to give but, if the UK is set upon any measure of deregulation, that will no longer apply. Thus, the UK will have to give the EU assurances that it will maintain current levels of equivalence and will not deviate from them. The actual standards are then subject to continuous monitoring, including site inspections, by Commission officials. As it stands, though, the UK would not be able to apply for non-EU status until it has actually left the EU. As part of any transitional agreement, therefore, the UK will have to negotiate with the "colleagues" to ensure continuity of recognition. That pre-supposes that the UK stays at the table and negotiates an orderly transition. If Mrs May decides to adopt her "walk away" strategy, then – officially – our establishments disappear. Food exports stop. There is no messing, no compromise. EU law is absolute on this. Unless establishments are approved in accordance with the rules, produce cannot be exported to the EU. For us to be recognised as a non-EU producer, we must eat humble pie and apply formally for recognition. However, even if we get past these hurdles, we are not out of the woods. There is then the small matter of Council Directive 97/78/EC laying down the principles governing the organisation of veterinary checks on products entering the Community from third countries. We can enact all the Great Repeal Bills we like but there is no getting round this Directive: all exports from third countries must enter the EU via approved Border Inspection Posts, listed here. We can no longer send this type of traffic to Dover - there is no BIP there. The closest BIP is Dunkirk, but that can only handle 5,000 consignments a year. That is approximately equivalent to about 300 metric tons a day. Yet, in one day (average), the UK exports 8,000 metric tons of meat (including poultrymeat) to the EU. Include dairy products and all the rest, and we're probably sending double that amount. Unless, by dint of heroic negotiation, we can get these requirements waived, UK exports of foods of animal origin will effectively cease once Brexit takes effect. And if Mrs May "walks away", there is absolutely no chance of them continuing. Bizarrely, the industry does not seem to have woken up to this threat – and the politicians seem fast asleep. But unless EU law is actually different from that posted on the EU website, and we're living in a parallel universe, UK food exporters are going to have a torrid time in a couple of years.